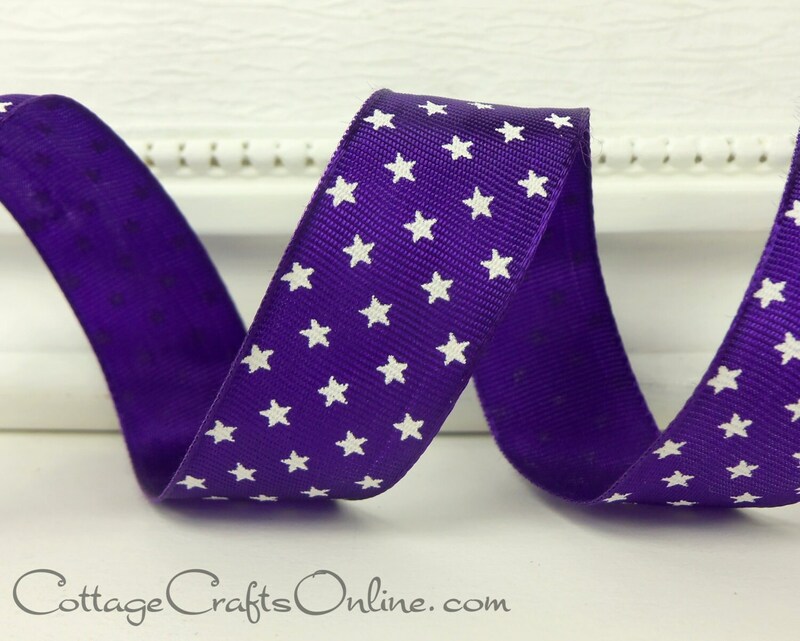 Purple taffeta printed with white stars on a lightly wired edge ribbon, 1" wide. RETURN POLICY: Please choose carefully. Once placed, orders for clearance and sale items, including this item, cannot be cancelled nor returned.